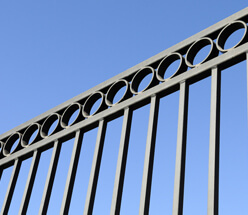 Since 1897, Hohulin has provided businesses across the Midwest with top-of-the-line commercial fencing, gate, and railing products. Whatever your commercial fencing needs are, Hohulin is the name to trust. With over 115 years in the industry, we have a leading advantage in commercial fence installation. Our family-owned fence company has a long record of providing the highest level of satisfaction and service to our Central Illinois customers. That means that you can count on Hohulin to provide high-quality, custom-built products—from chain link fence installation, to vinyl fencing, to snow fences in the winter. Furthermore, regardless the size of the job, our fence contractors will devote their full attention to your fencing solution so that your commercial space has the best safety, protection and aesthetics possible. If you are looking for reliable fencing products for your business or commercial space, Hohulin offers a number of commercial fencing options to our Central Illinois customers. From batting cages, to school yards, to dog parks—Hohulin offers wonderful custom chain link fence installation options that can serve all of your fencing needs. Are you setting up a worksite? To protect from hazards, theft and other problems on the job, rental panels are the perfect solution! Hoping to hide that dumpster or storage area from view? Privacy fencing can conceal any eyesore on your property and give your property more curb appeal for potential customers. Your fencing needs to match the sophistication of your business. See what Hohulin can do about finding the aesthetic to suit your commercial space. Choose Hohulin for Commercial Fencing! 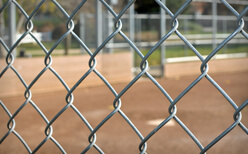 Hohulin is the leading provider of commercial fencing in Central Illinois. Talk with our team of fully trained professionals today. Contact us online or call us at 309-316-1008. For more commercial products, see our pages on Commercial Kennels, Highway Guard Rails, Commercial Gates & Operators and Commercial Railings today.